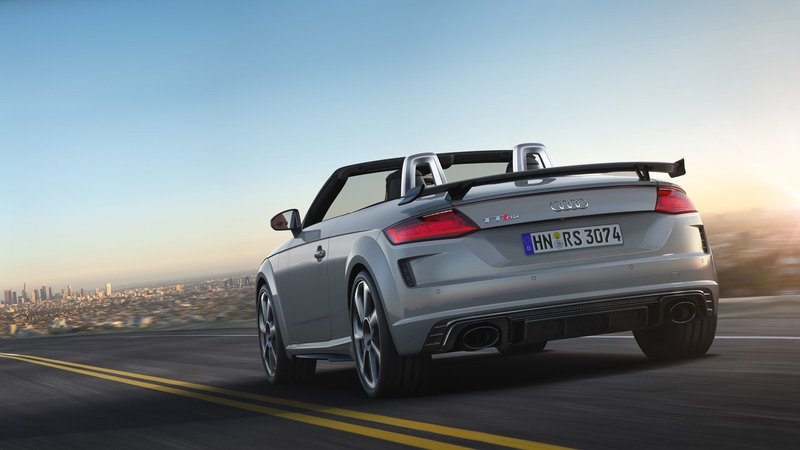 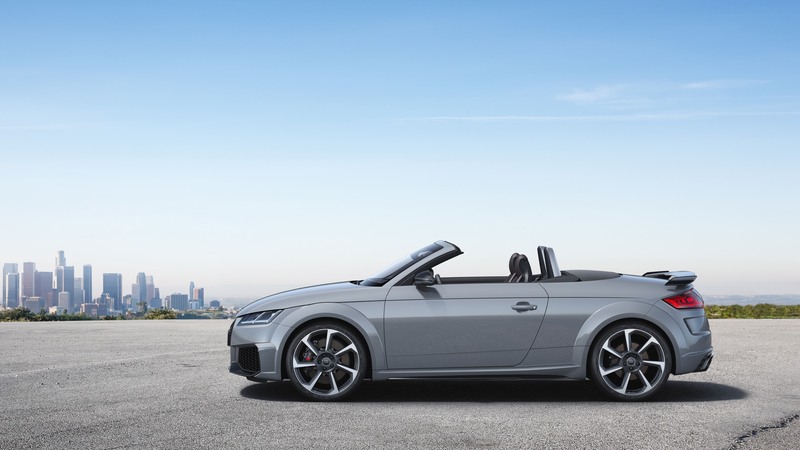 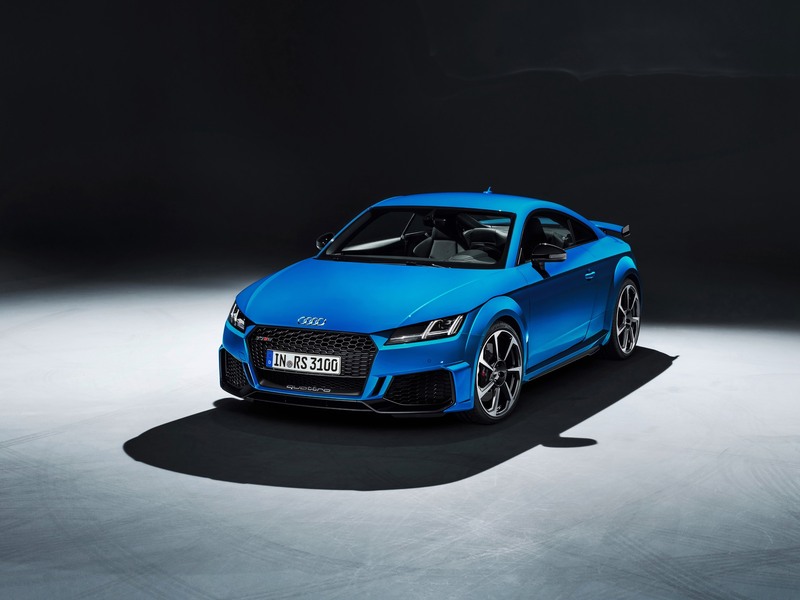 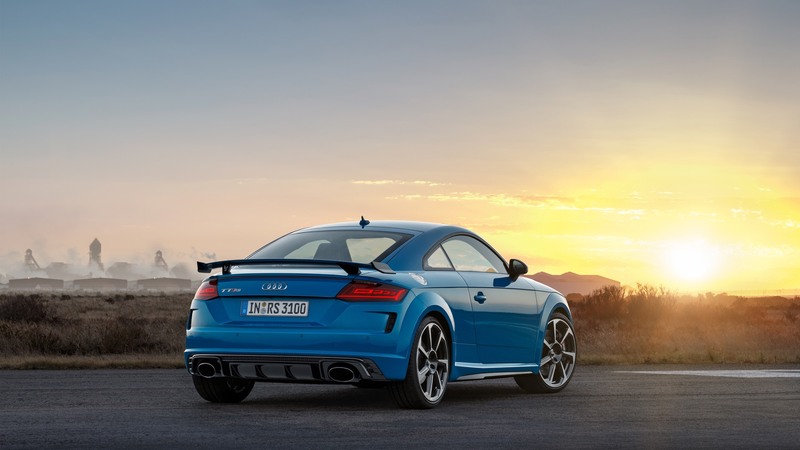 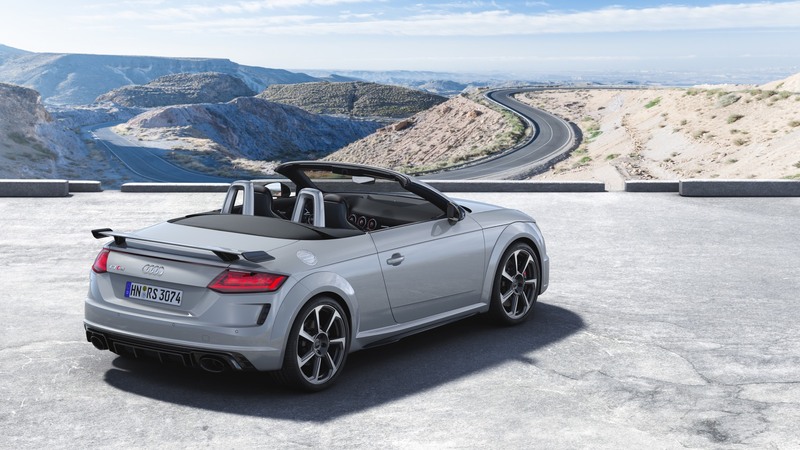 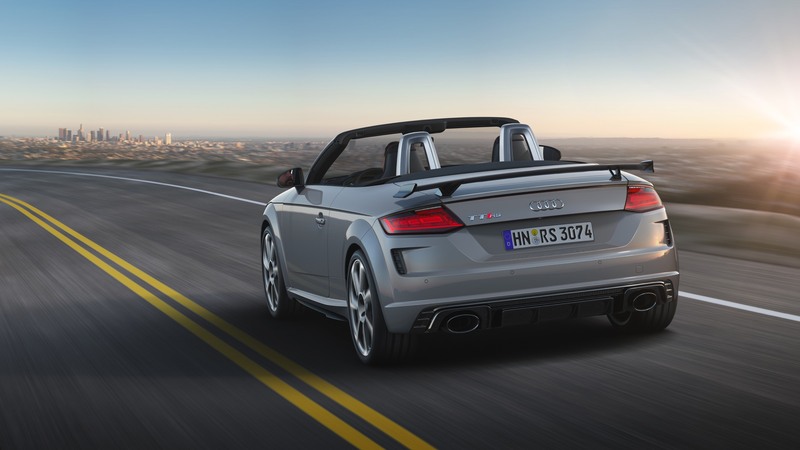 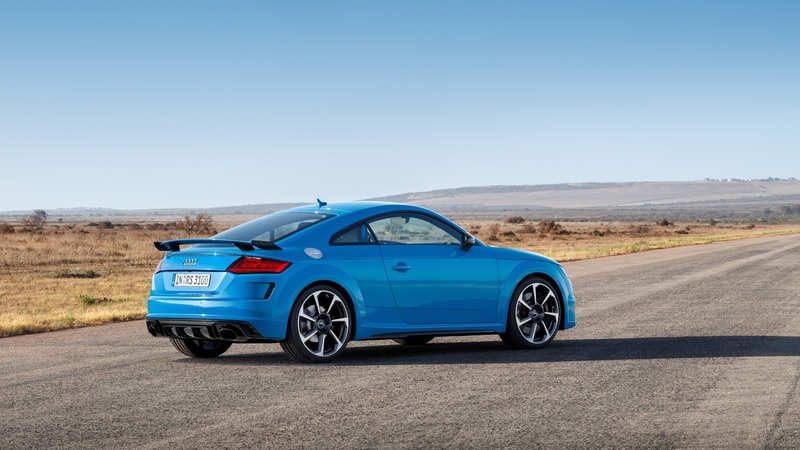 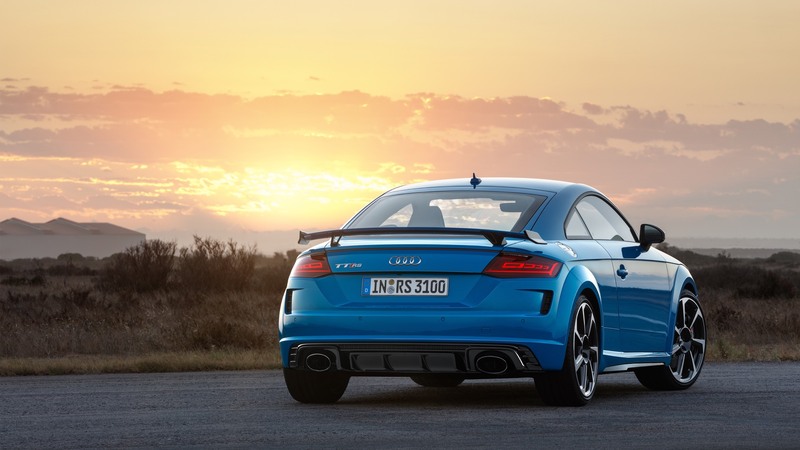 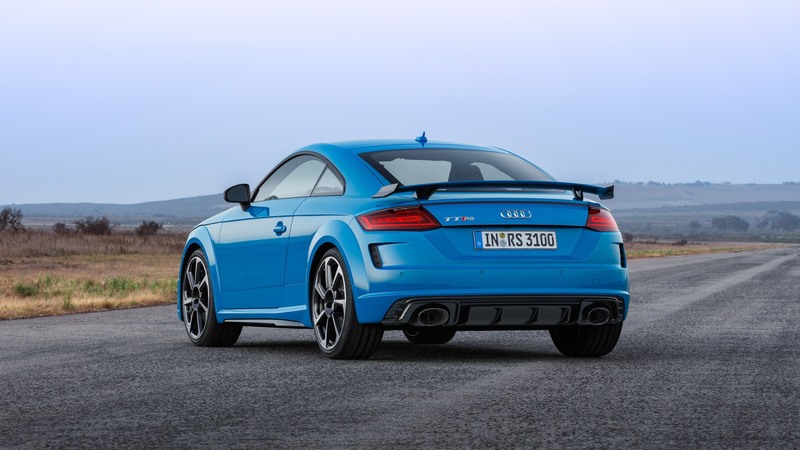 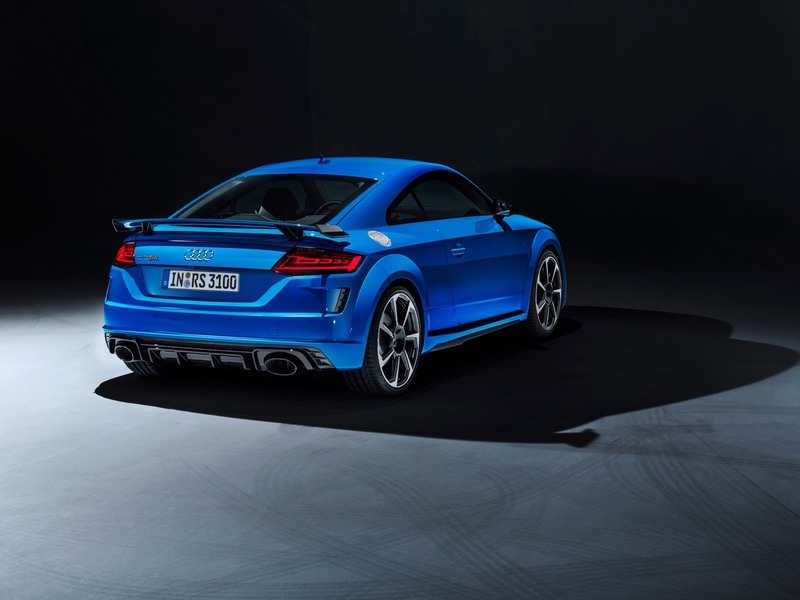 Audi have taken the covers off of the Audi TT RS Coupe and the Audi TT RS Roadster. 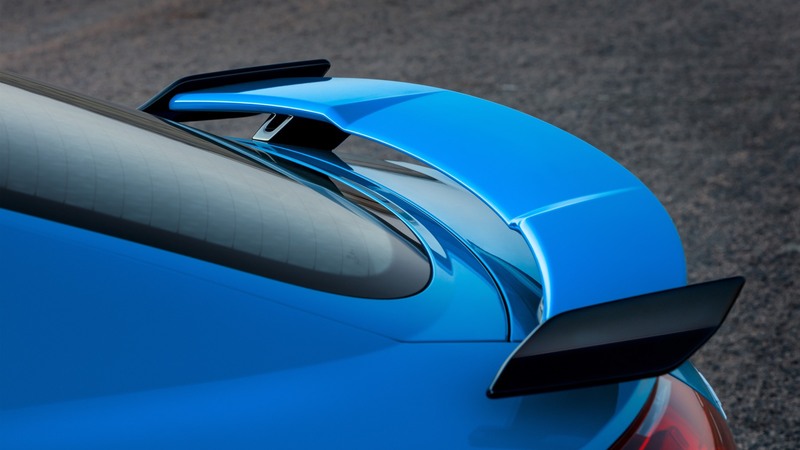 The two models receive a mild series of aerodynamic tweaks but no boost in performance. 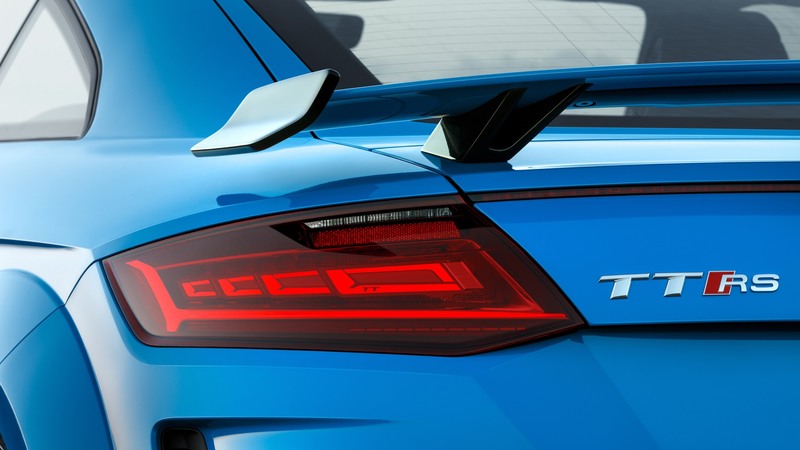 The visual tweaks should allow it a few more years of faithful service. 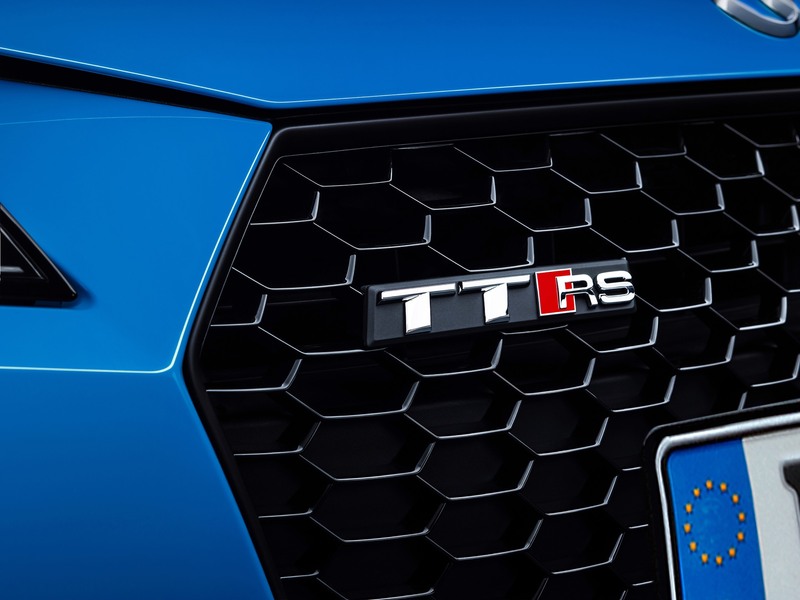 The official reveal will likely take place at the Geneva Motor Show 2019 which starts early next month. 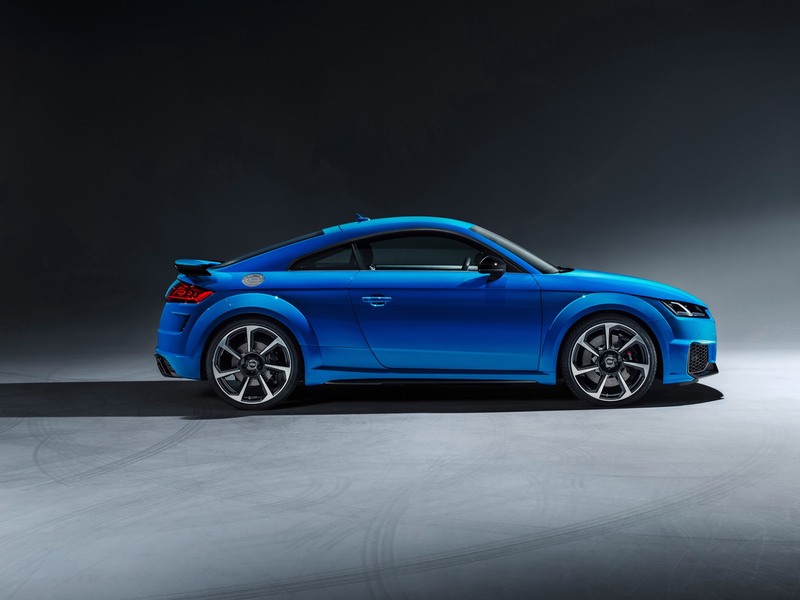 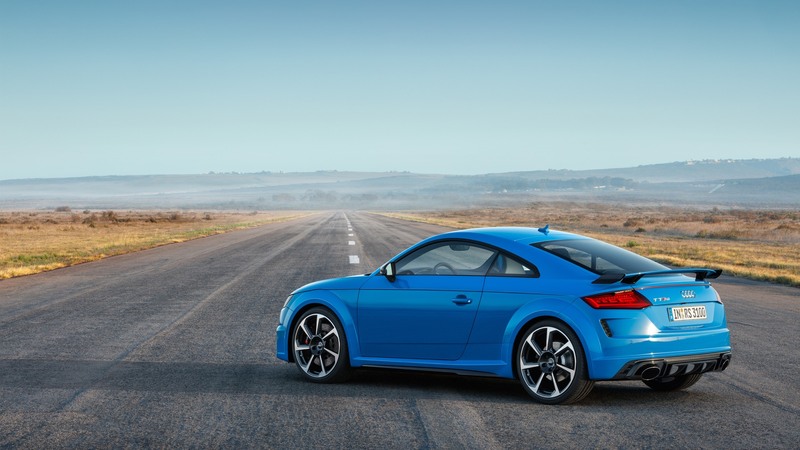 The design takes its cues from the facelift Audi TT. 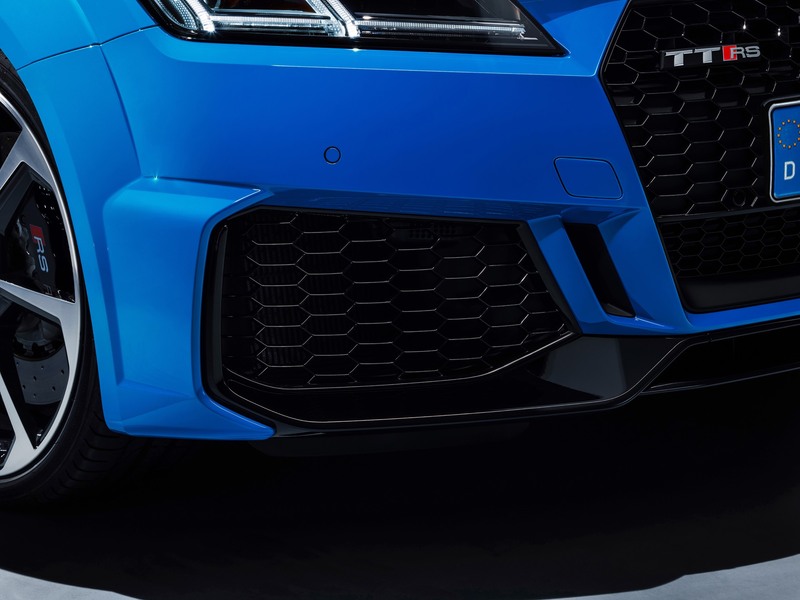 The front air vents are redesigned with the vertical stips moving to the inside of the vent with a larger air vent on the outside. 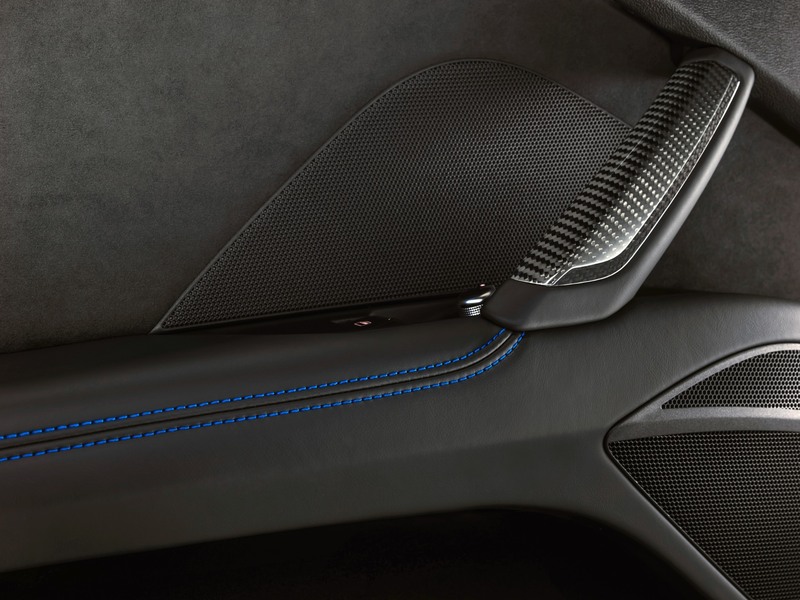 The side sill is completely new too, with a gloss black finish. 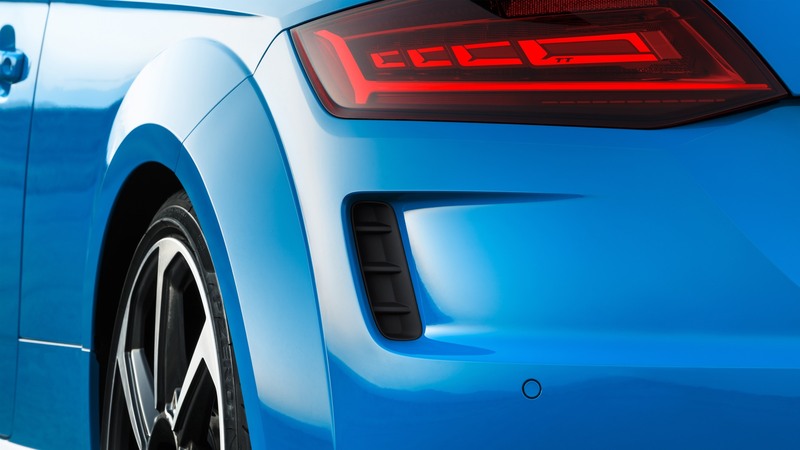 At the rear, a new wheel vent has been added. 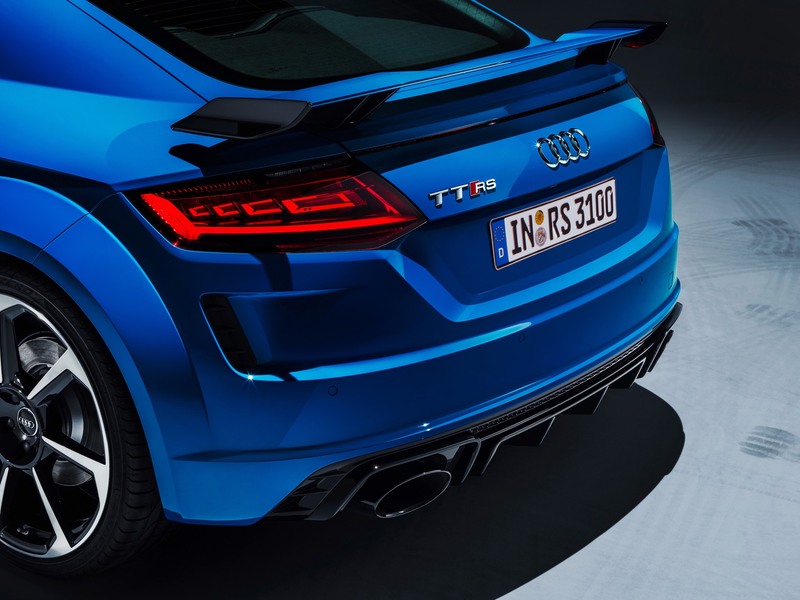 Finally, the rear spoiler has been redesigned with larger end plates. 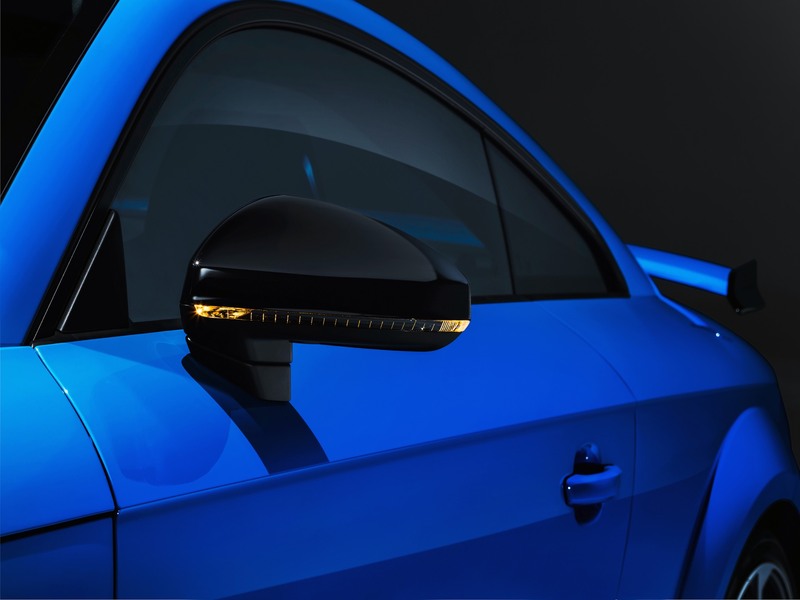 A new set of matrix OLED reversing lights have also been added to the option list. 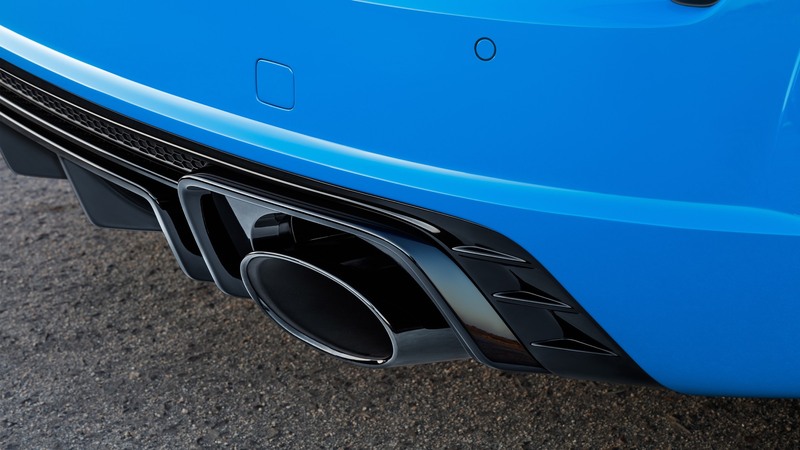 They are said to put on a display when the ignition is turned on. 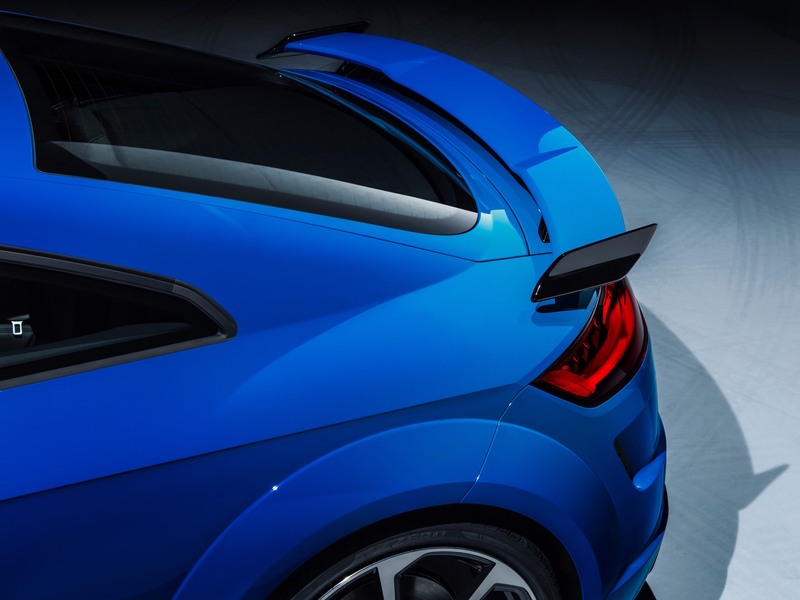 Kyalami Green becomes an RS-specific colour, and two further colours, Turbo Blue and Pulse Orange, join the option list. 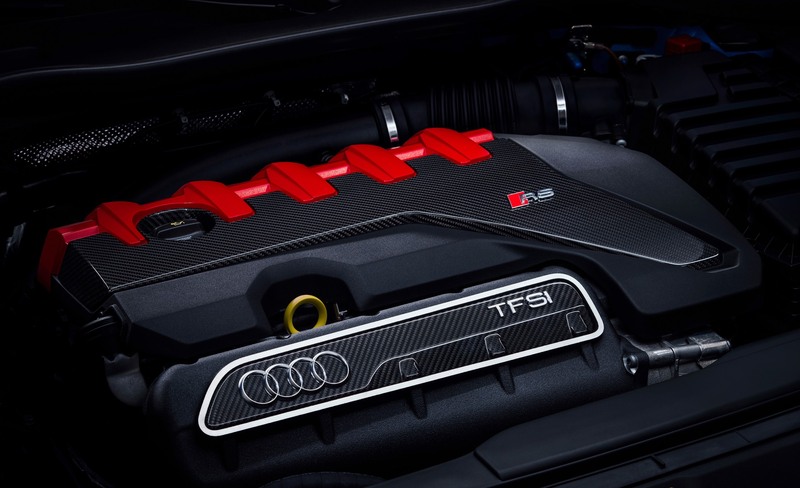 The 2.5 litre inline 5 cylinder engine returns for the facelift. 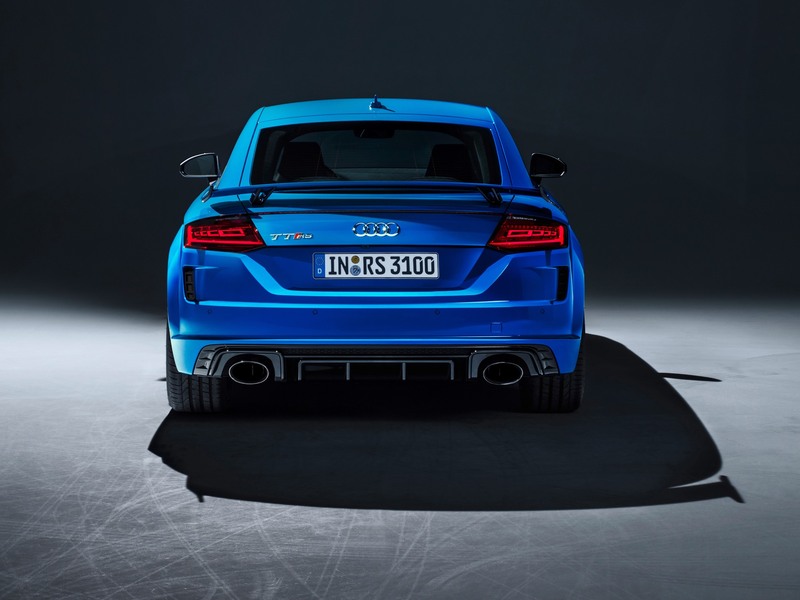 The power remains the same, 400 hp and 480 Nm of torque. 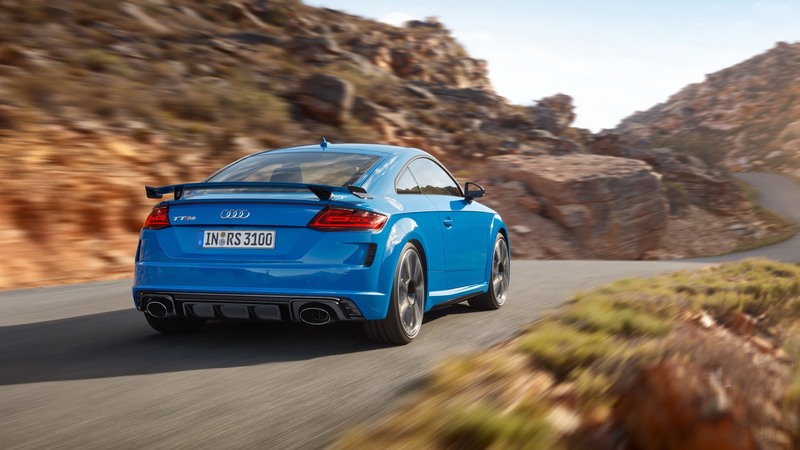 Performance is also identical with a 0 to 100 km/h (0 to 62.1 mph) sprint occurring in 3.7 seconds. 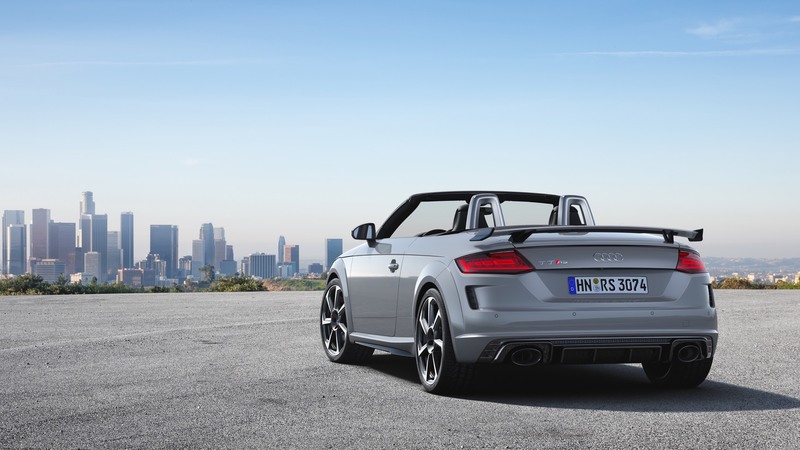 The power is routed through a seven-speed S tronic to the quattro permanent all-wheel drive system. 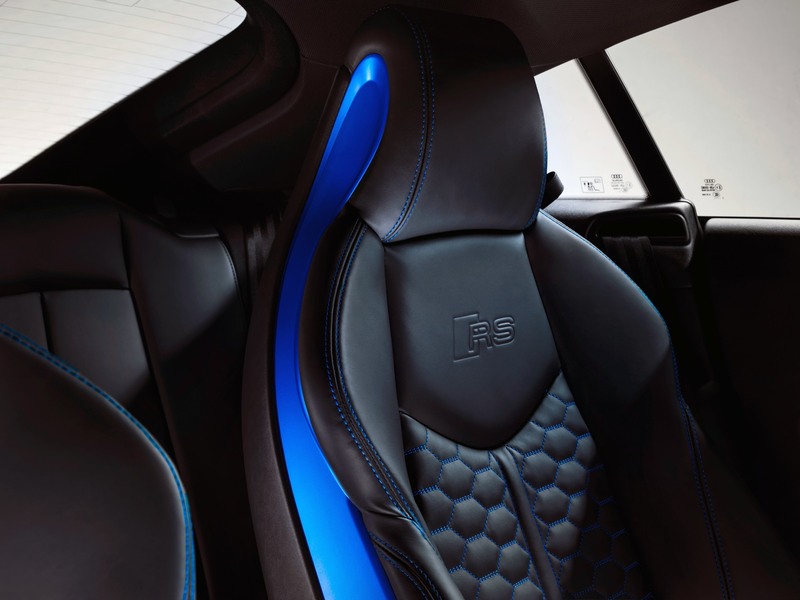 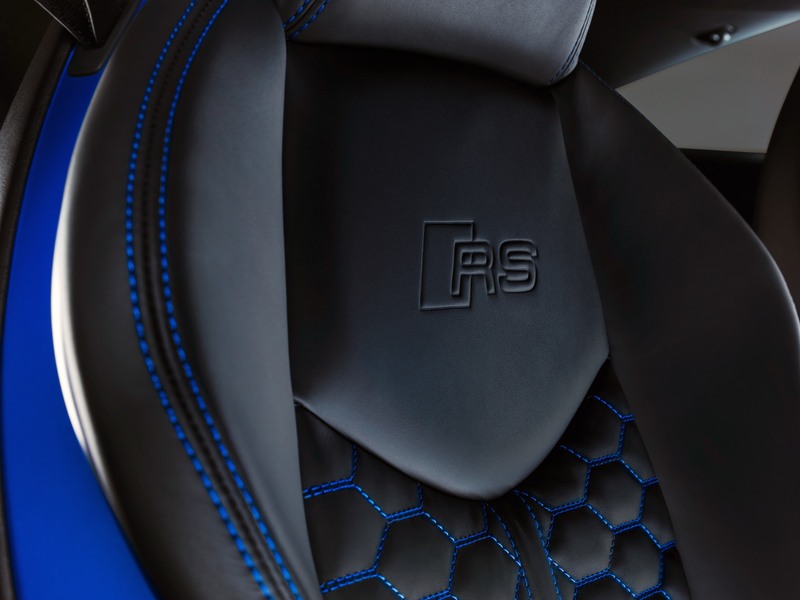 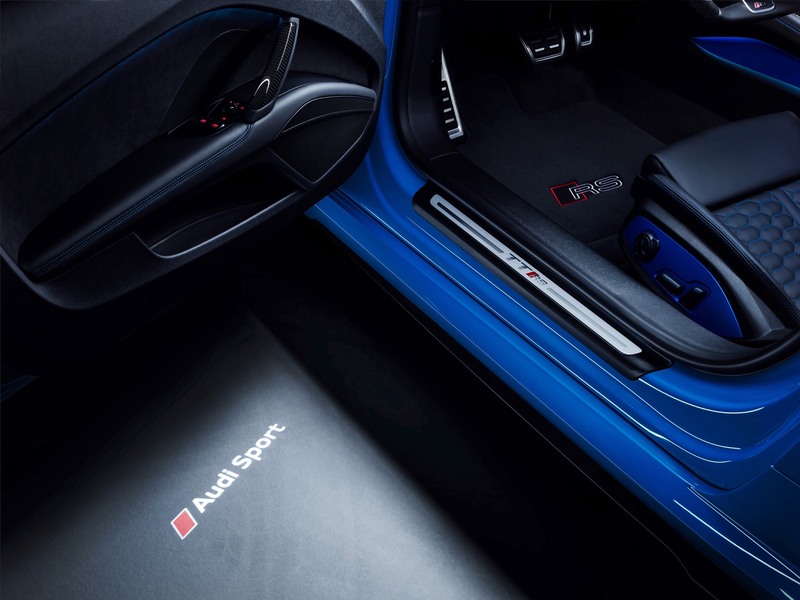 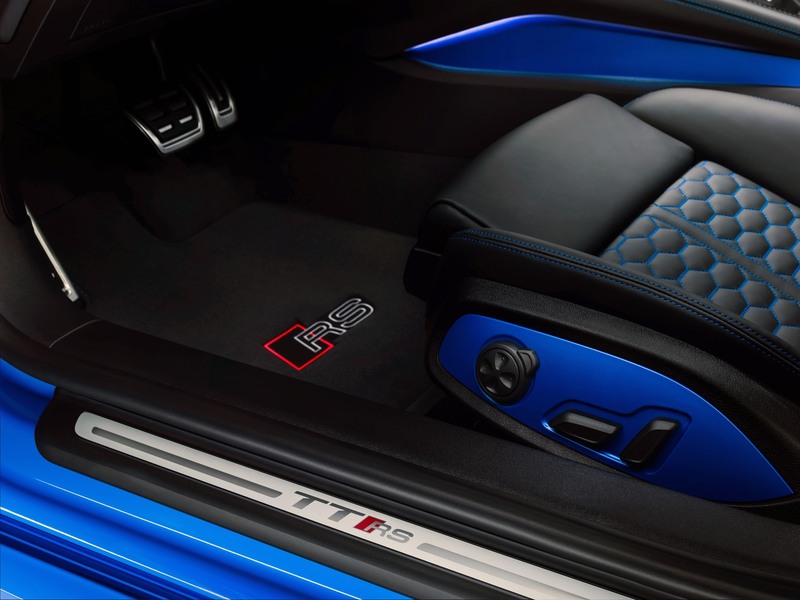 Inside, Audi fit the latest RS sport seats with RS logos on the seats, steering wheel, door sill trims, and selector levers. 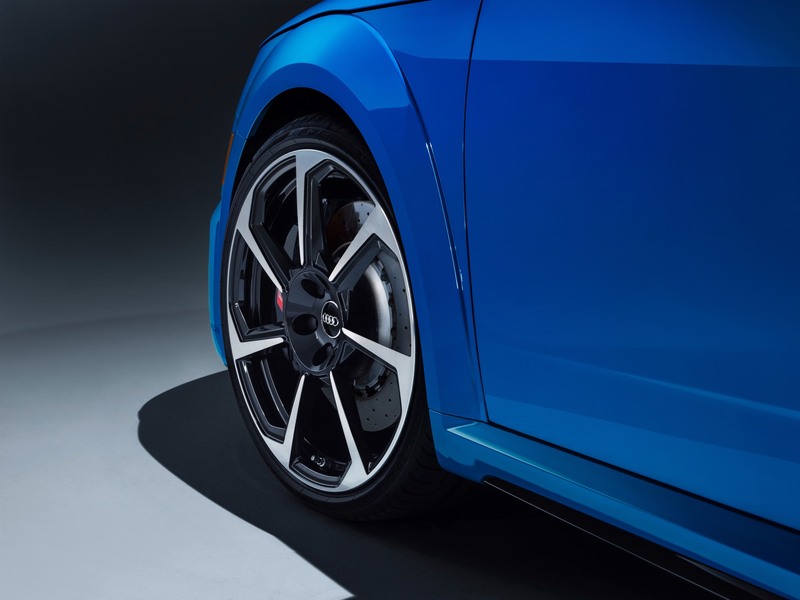 The Audi virtual cockpit gets a special RS display which provides information on tire pressure, torque, and g-forces. 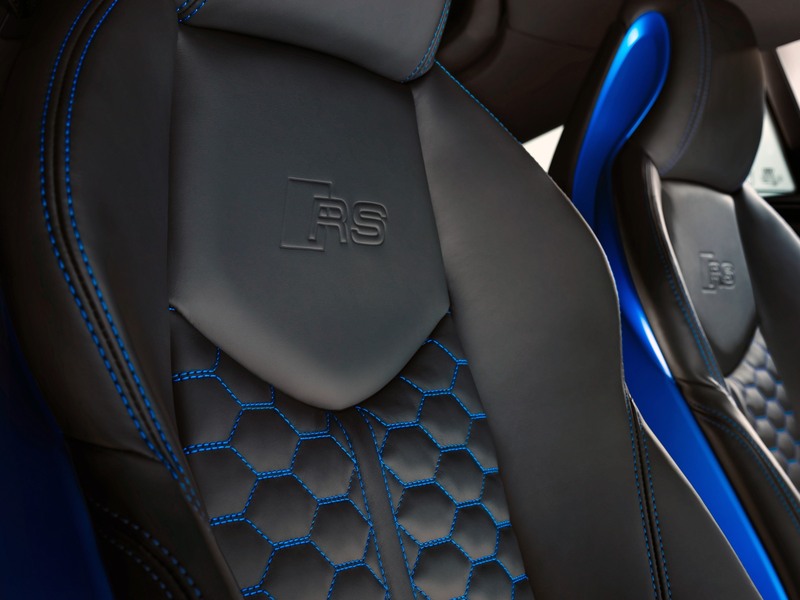 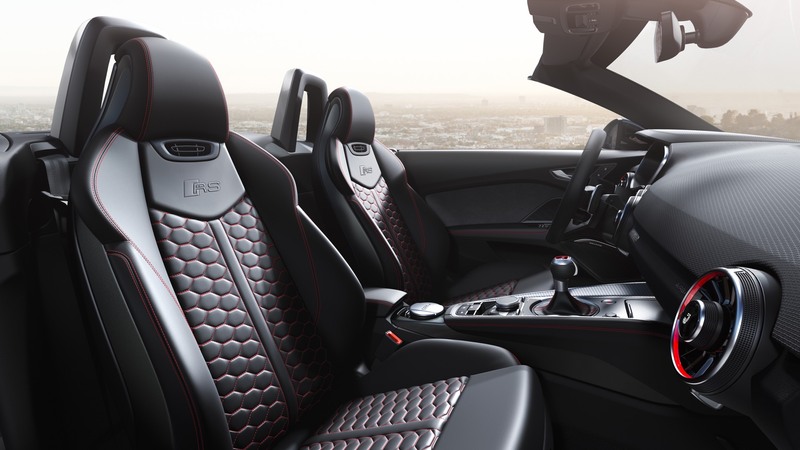 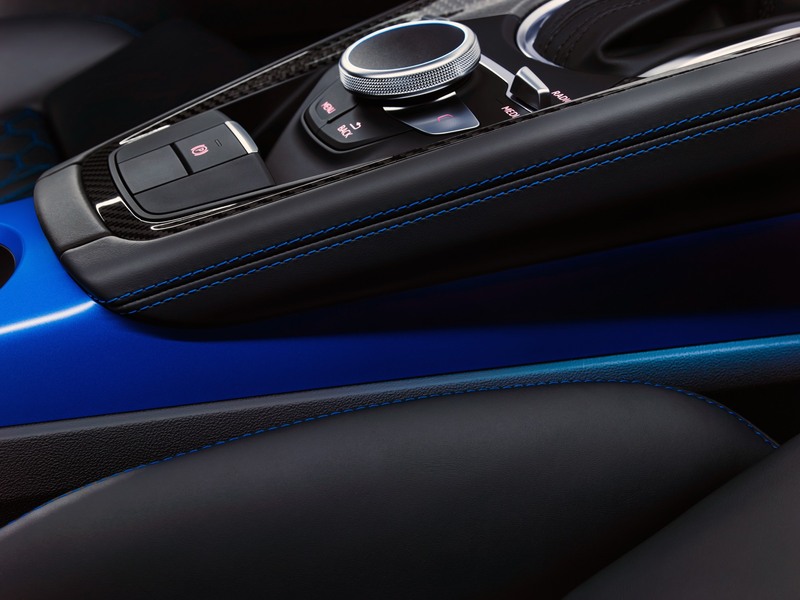 A new RS sport leather steering wheel is also on offer. 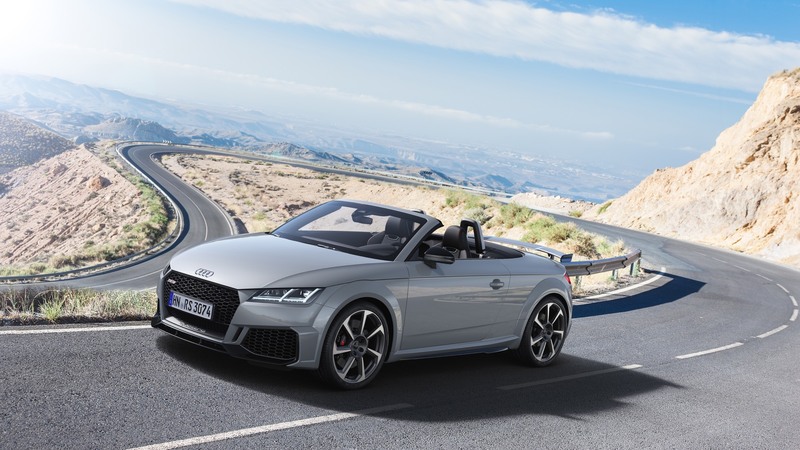 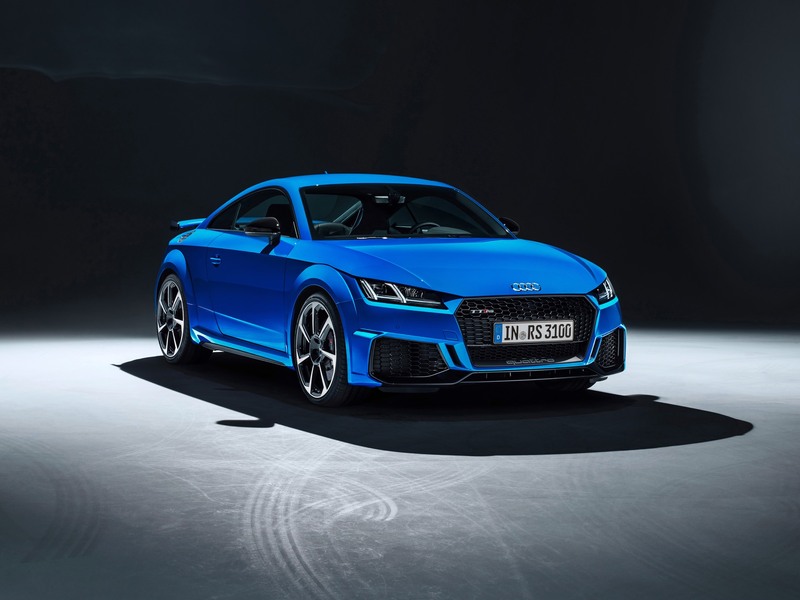 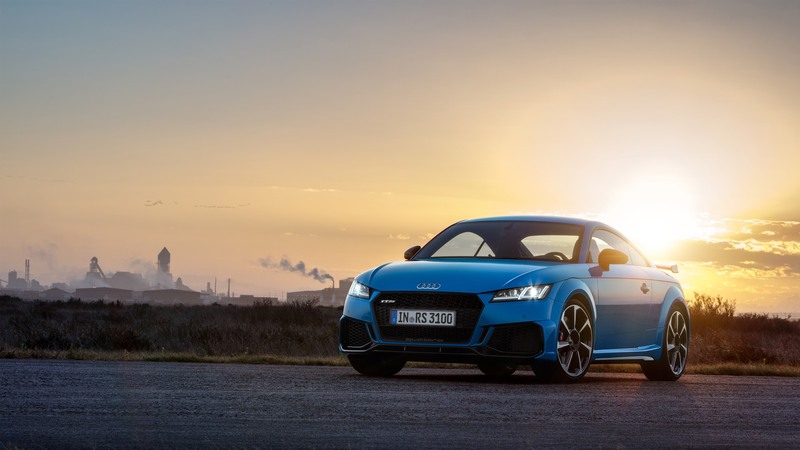 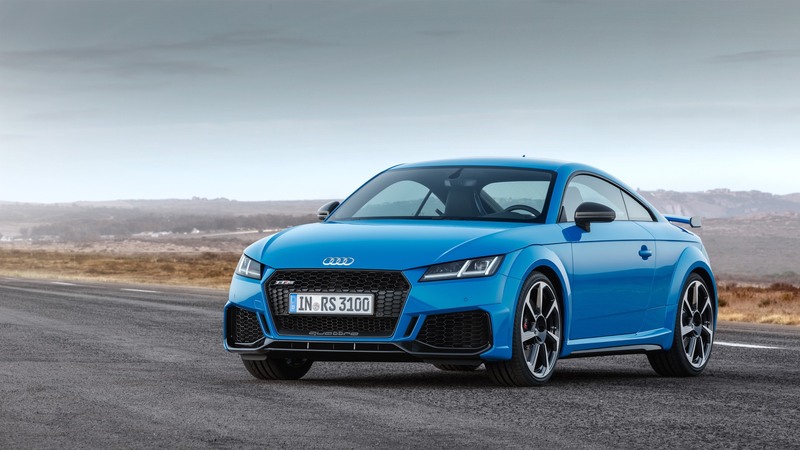 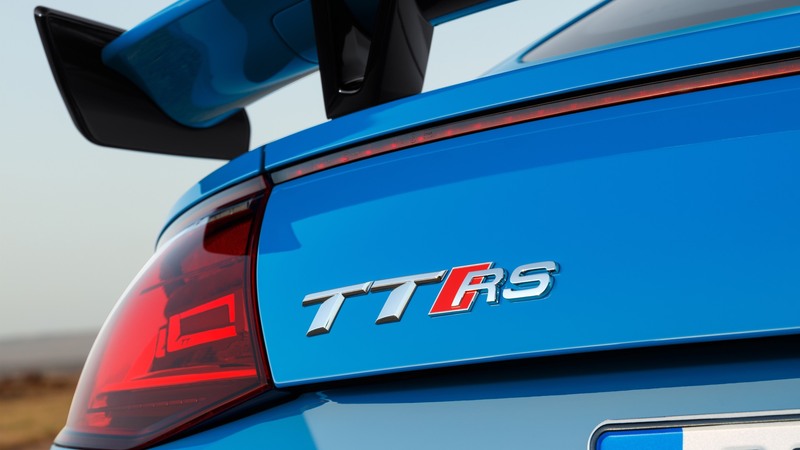 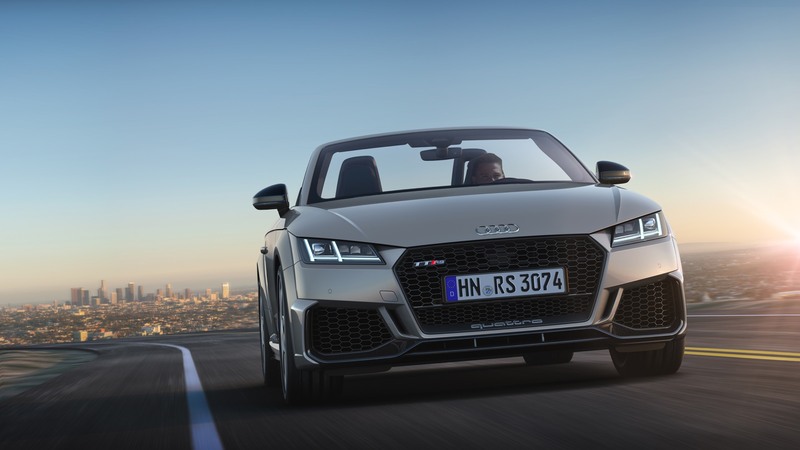 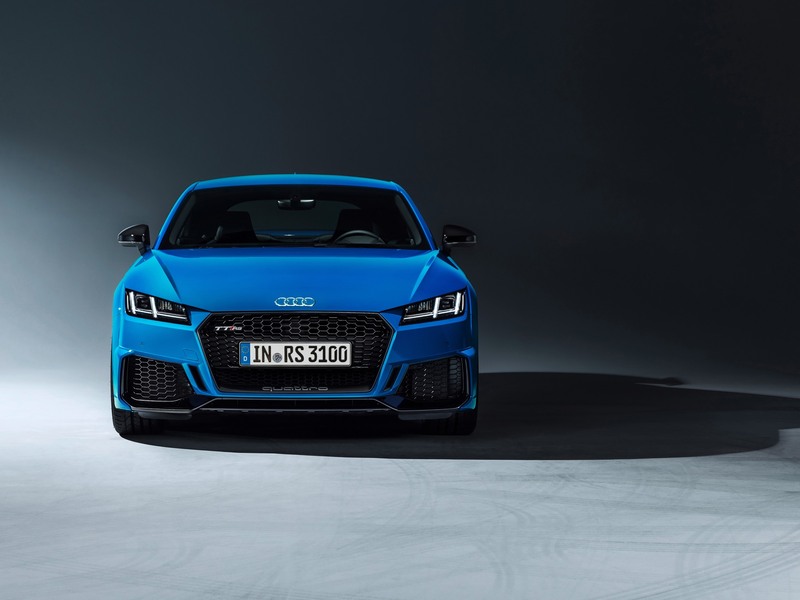 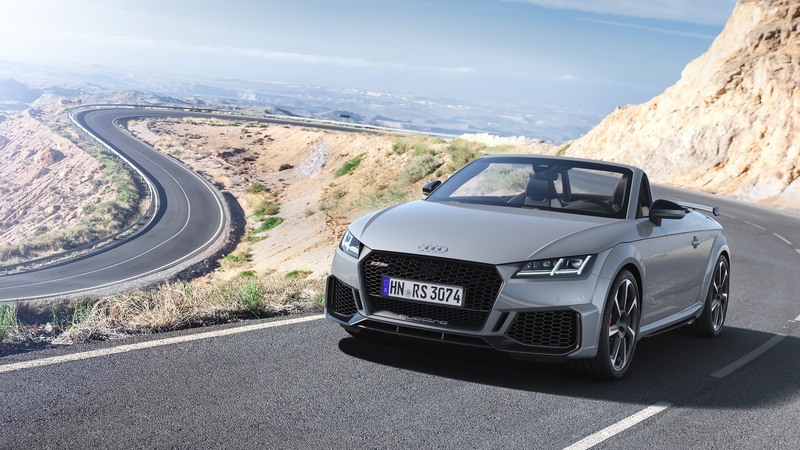 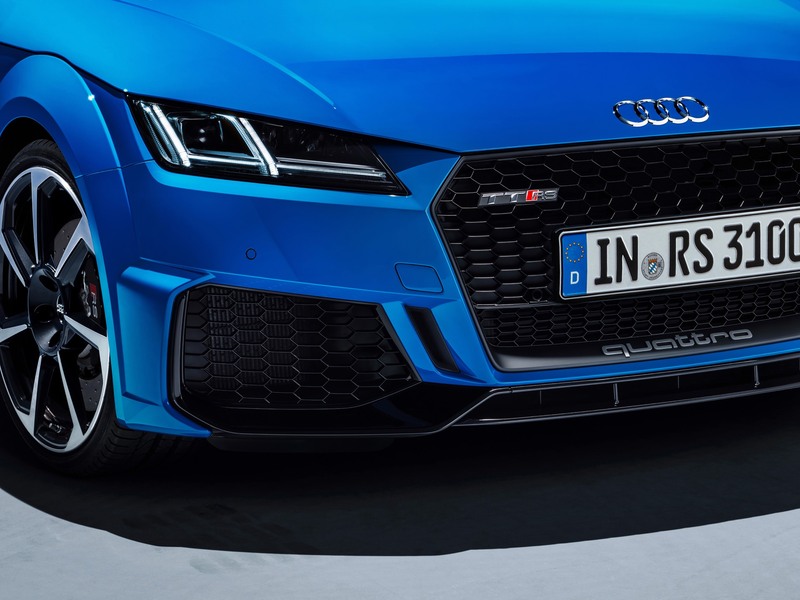 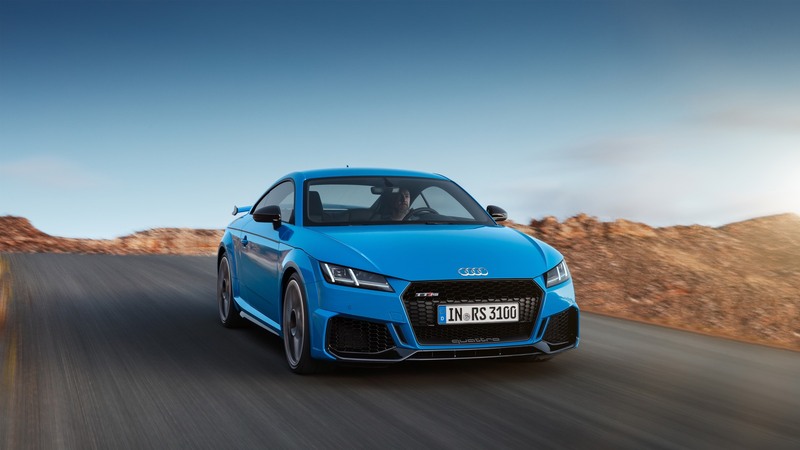 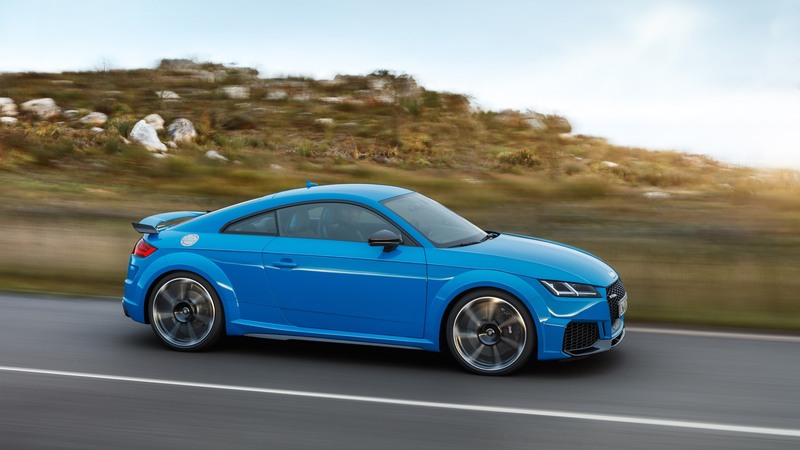 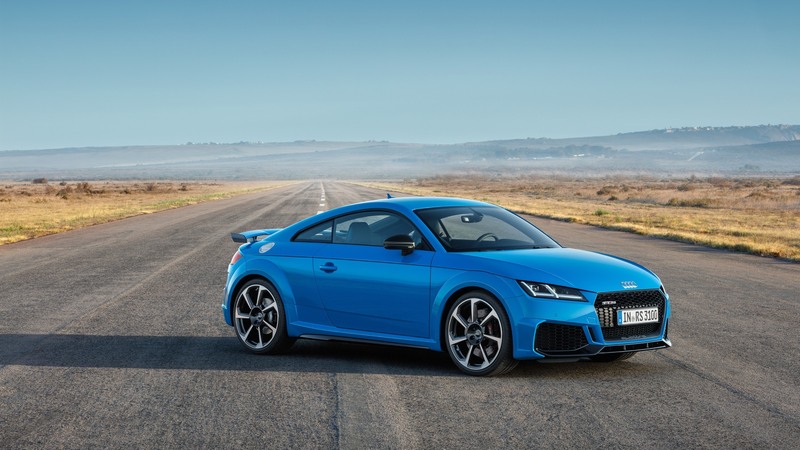 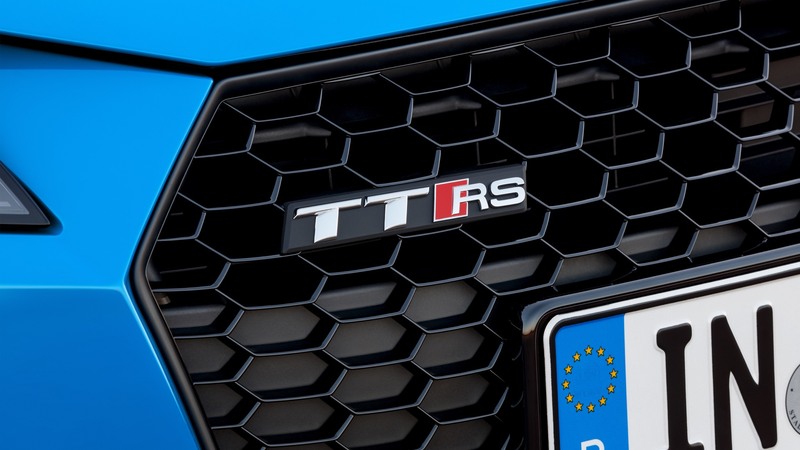 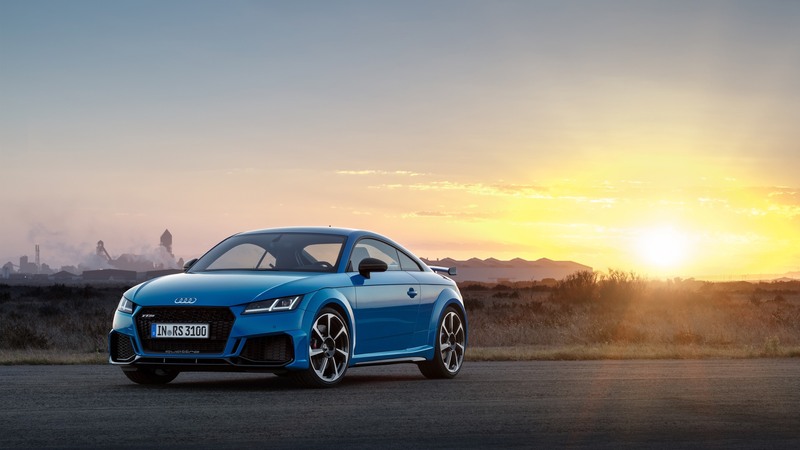 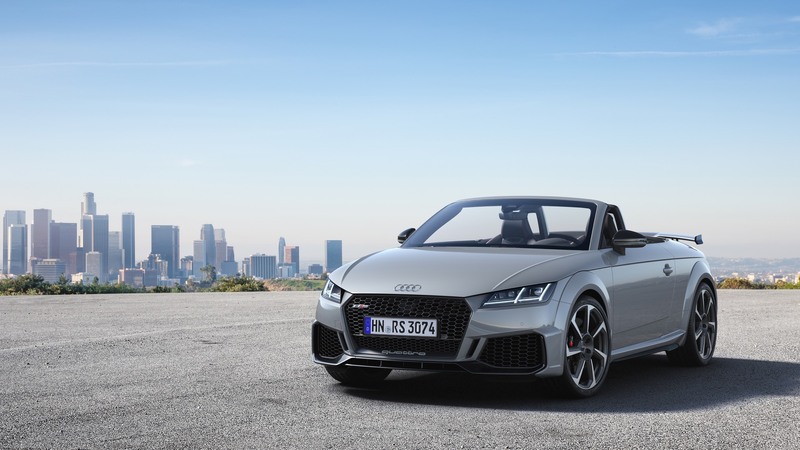 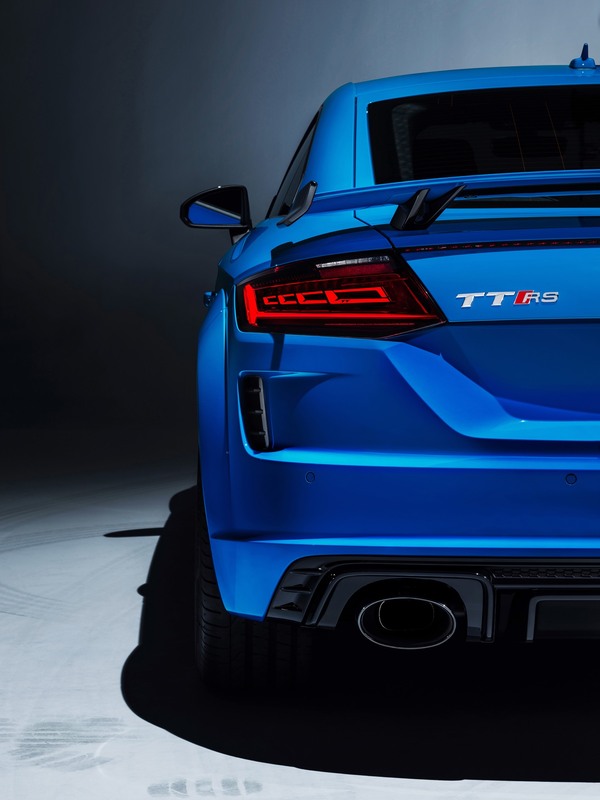 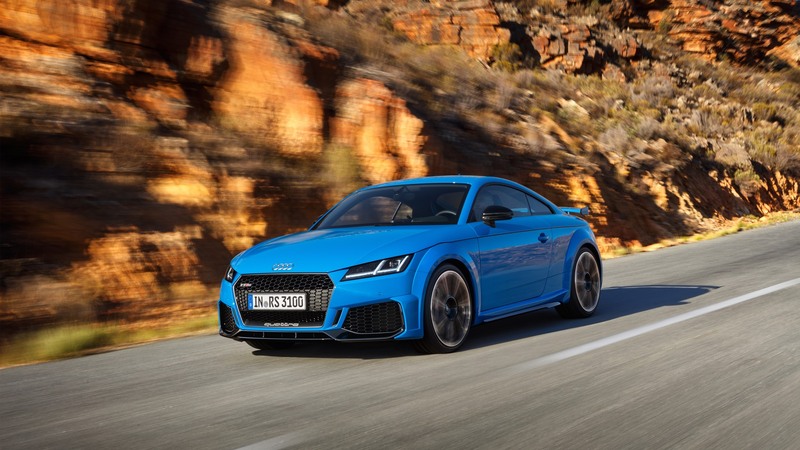 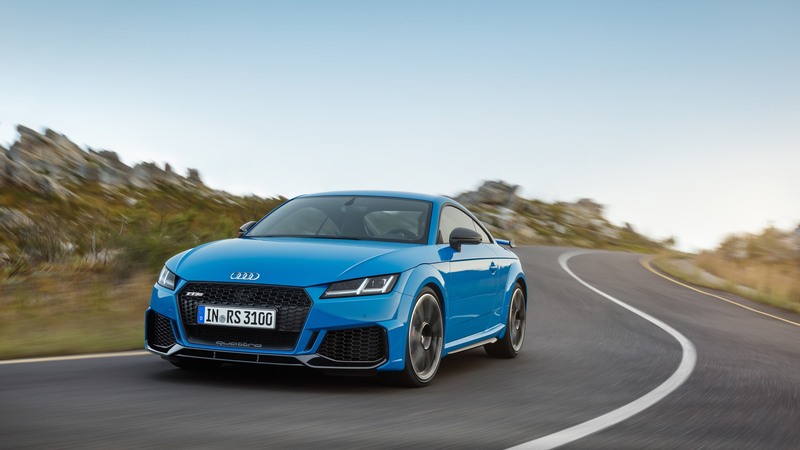 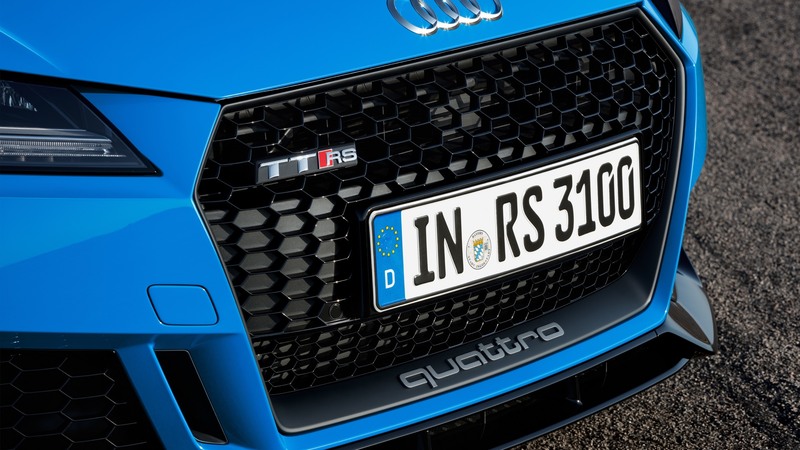 Order books open for the facelift Audi TT RS Coupe and Audi TT RS Roadster tomorrow with deliveries from the spring of 2019. 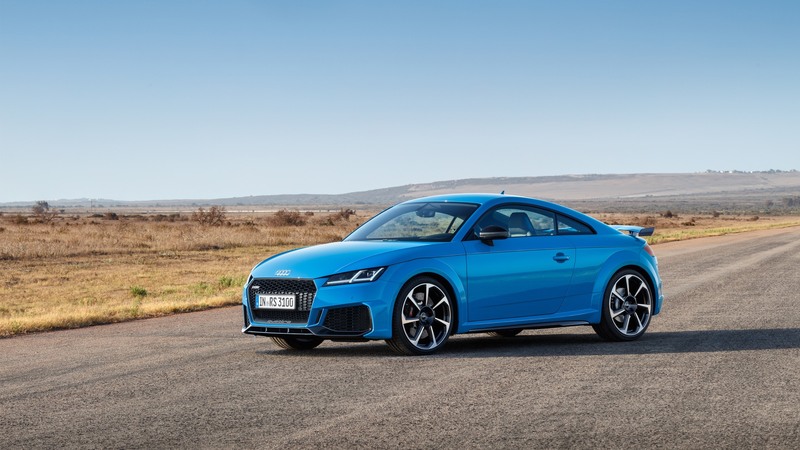 The price for the Coupé is 67,700 euros. 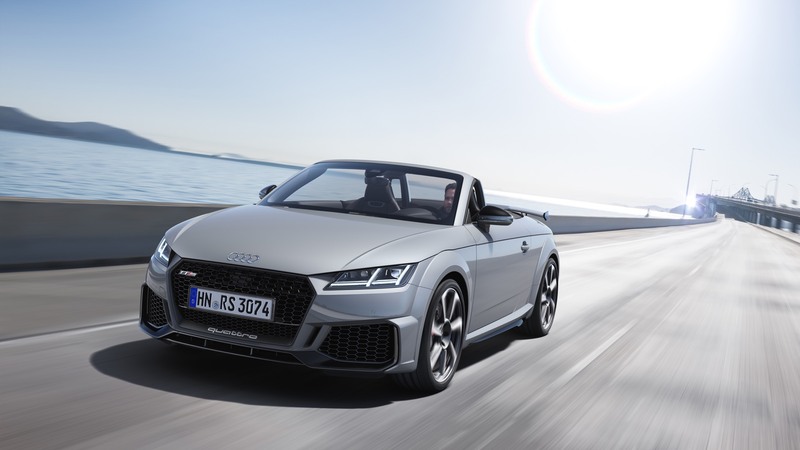 The Roadster starts at 70,500 euros.